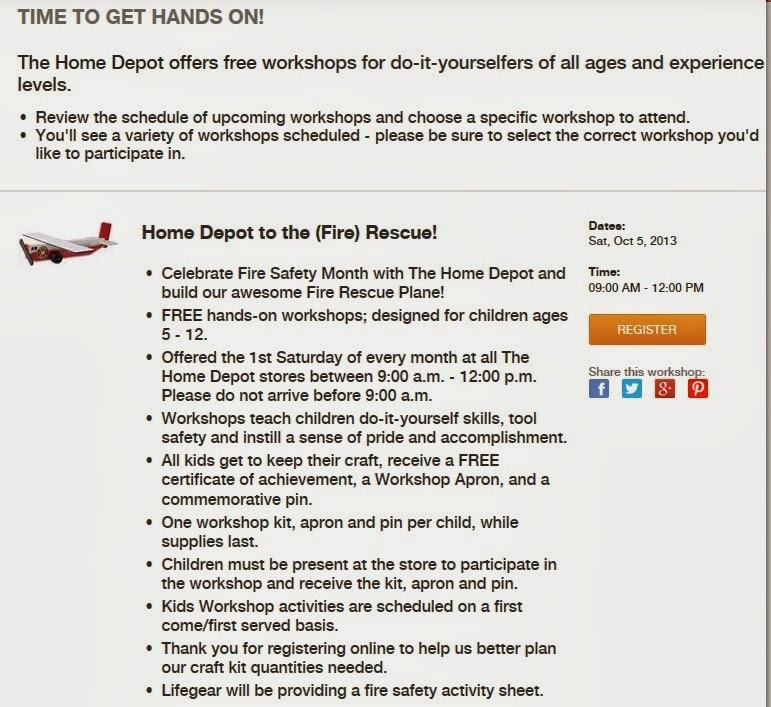 Sign up for the Home Depot Newsletter and get a printable coupon for $5 off your purchase of $50 or more at Home Depot! The Pumpkin Fairy was Here! Our Great Pumpkin is a She and She LOOOVVVES herself some glitter! My 6yr old made this, you can't tell that she loves pink and purple and of course you can never have enough glitter. Super cute movie for only $5 at Amazon, Cloudy With A Chance of Meatballs Blu-Ray/DVD Combo. IKEA is a great family place to eat, very kid friendly and lots of specials including Kids Eat Free, Free Coffee all day Monday through Friday with an IKEA Family Card, Feed a Family of 4 for $9.99.......Today's special is Fish & Chips for $1.99! Support a local business in the Maple Valley area and have fun at the same time. 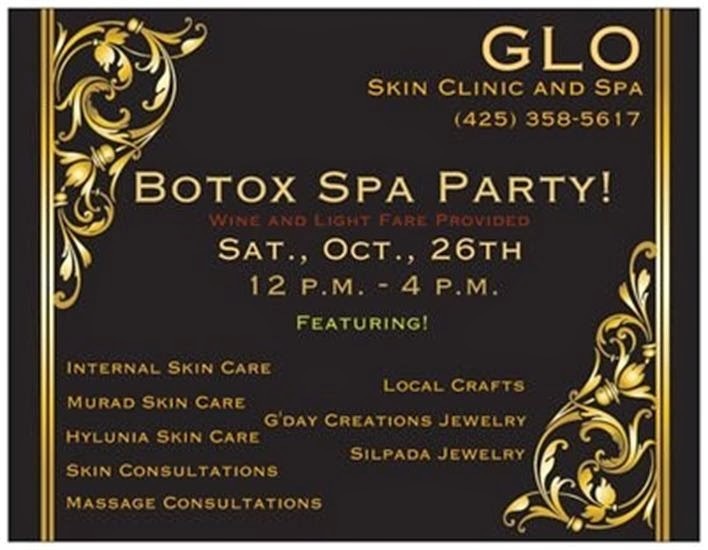 GLO Skin Clinic and Spa is having a Botox Spa Party Saturday October 26th 12-2 pm and you are invited. It's not just Botox, you can get massage consultations, skin consultations, you'll be able to shop local crafts and jewelry and get info on the best products for your skin. I go to GLO Skin Clinic & Spa for waxing, for me it's kind of a private thing so I want to have someone that I trust and feel comfortable with, I absolutely love Michelle the owner. She is so professional yet she's down to earth, she'll talk you right through the whole thing and before you know it, you're done. 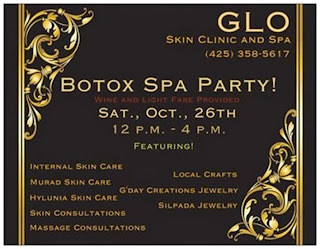 She also offers Lashes, Massage Therapy, Skin Care Services, Natural and Organic Products and more, stop by Saturday or check out her website www.gloskinclinic.com. The best part of Halloween and carving pumpkins is the Roasted Pumpkin Seeds.......here's how I make mine. MMMMMMMM Salty, Crunchy Pumpkin Seeds.......is there anything better? It should be a crime to just throw away the pumpkin seeds when you carve your pumpkin, it does take a little time to sort through all the pumpkin guts but so worth it. The way I make my seeds is super simple, I'm sure there are lots of yummy things you can add to yours but I like mine just roasted and salted. Just a warning, you can get a stomach ache from eating too many, trust me I've done it. First step is to separate the seeds from all the guts in the pumpkin, if you don't like touching slimy stuff, I'm not quite sure what to tell you, gloves maybe? Wash your seeds really well, and spread on a cookie sheet, add enough water to cover all of them and sprinkle salt. You can roast them faster at a higher temperature but I leave mine in the oven overnight at a super low temperature, like 150 or less. In the morning all the water is evaporated and they are beautifully toasted and crunchy. Easy peasy lemon squeezy right? I make this Pumpkin Bread every fall and continue making it through Christmas. I can't take credit for the recipe (it's from my Better Homes & Gardens cookbook) sshhhhh don't tell. The bread comes out so moist and delicious, everyone always raves. Enjoy! Grease bottom & sides of 2 9x5x3 inch loaf pans set aside. In a large mixing bowl beat sugar and oil on medium, add eggs and beat well, set aside. In a large bowl combine flour, baking soda, salt, cinnamon & nutmeg. Alternately add flour mixture and water to sugar mixture, beat on low after each addition just until combined. Beat in pumpkin, pour batter into pans. Bake in 350 oven for 55-65 minutes or until toothpick comes out clean, (a toothpick is not long enough to reach the center so I use one of my favorite tricks Use uncooked spaghetti to check doneness. Cool in pans for 10 minutes, remove from pans and let them completely cool on wire racks. Be ready for winter in the Pacific NW or the zombie apocalypse, either one you'll be glad you have it. 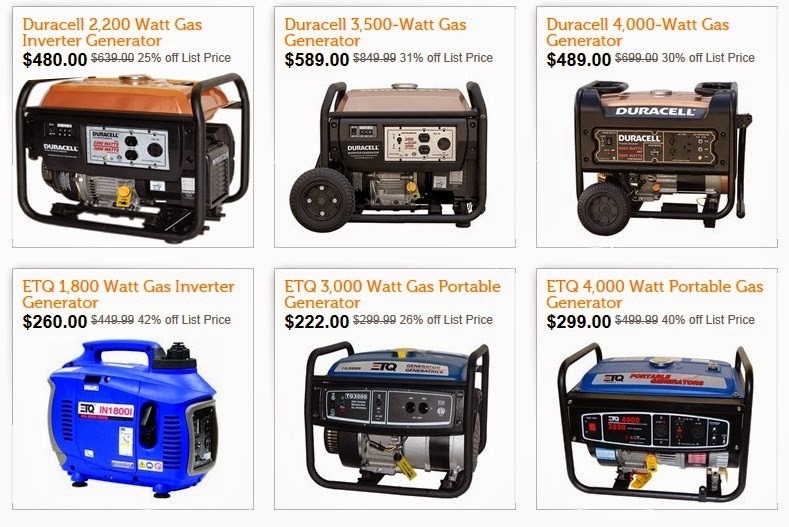 Every year when the power goes out, my Husband and I say to each other "we need a generator", we've only been saying that for the last 10 years. We lose power in the wintertime like some people change their socks........ALL THE TIME. 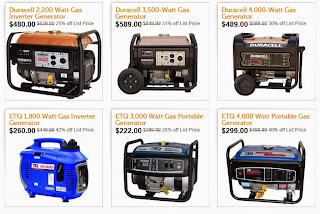 I found an awesome deal on Generators at my favorite place to shop online...........woot.com . If you've been looking for a deal, these are pretty rockin prices. 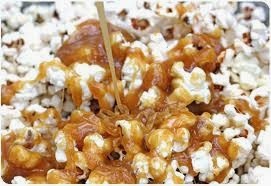 Here's a yummy recipe for Homemade Caramel Popcorn and Popcorn Balls, this is great for fall parties at school or work (your dentist may not think these are so great). Easy, homemade and you know exactly what's in them......sugar, more sugar and liquid sugar oh, and butter. Doesn't get much better!!! Pop the popcorn and put it in a large bowl and set aside. Bring the sugars and condensed milk and butter to a boil in a saucepan, let it boil for one minute. Remove and pour over popcorn with one hand while mixing with the other hand (be very careful, it's hot) until everything is coated. If you want popcorn balls spray your hands with nonstick spray or just coat them with butter and start forming balls or just spread onto a greased cookie sheet and allow to set. If you like Jose Ole', here's a $1 coupon for Crunchy-Cheesy-Spicy Nacho Bites. Just click on the banner below to print. 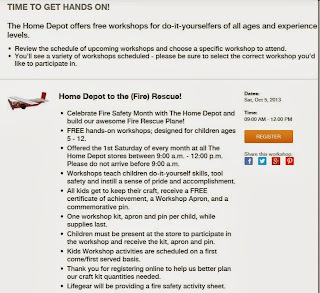 This month kids can build a Fire Rescue Plane at the Free Home Depot Kids Workshop, 9 AM - 12 PM at participating Home Depot's, go HERE for details. I would print these Halloween candy coupons before they run out, you know you're going to need them.